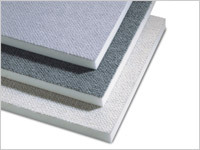 SonoCon™ acoustical foam panels and baffles are engineered to eliminate reflected energy and reduce ambient noise levels. 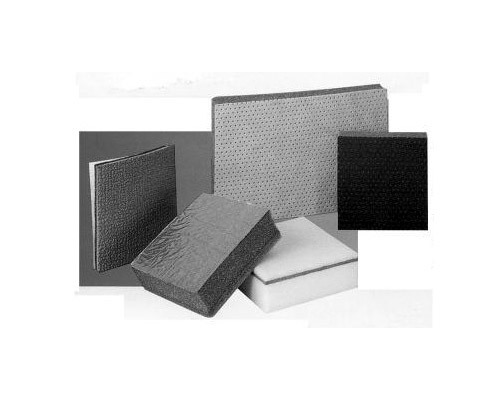 A variety of product thickness, panel design, and physical characteristics enable selections which will closely meet specific sound absorption requirements. 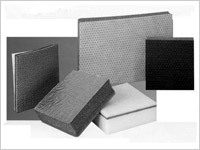 The open cell acoustical panels are uniquely shaped to maximize the surface area exposed to acoustical energy; as the surface area increases, panel sound absorption efficiency also increases. Increasing the thickness of the panel increases the sound absorption performance at the low frequencies. Special panel configurations locate sound absorption at wall and ceiling intersections which otherwise act to amplify and direct sound into the room environment. 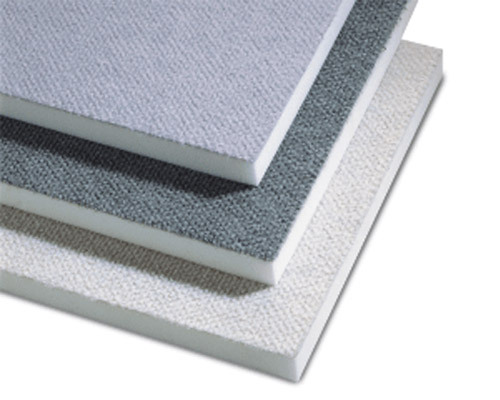 SonoCon acoustical foams provide sound absorption together with sound transmission loss by bonding a flexible noise barrier to the foam panel. The panels can be configured with sound absorbing foam on both sides of the barrier to assist in decoupling the barrier from a vibrating, sound transmitting surface or on one side only for adding mass and sound absorption to a light gage equipment housing.